The Art In Motion system works great for individuals and couples, as well as large groups. How many people can fit at a time? You won’t know until you try! The Art In Motion system includes full printing capabilities! Rock your best poses and props, get your prints and head back to the party. Want to share your fabulous looks with the world? The Art In Motion system offers full social media integration, emailing and downloads of your images. Adding the photo booth to our reception was a hit and really brought everyone together! It was a real crowd-pleaser - for those who were looking to party, as well for as those who normally stay glued to the wall or seat come dancing time. The props were unique and hilarious, and the wonderful people at Northern Art Photography ran a seamless operation. The fact that you receive all the digital files as well as every single physical print out from the evening makes for hours of laughter, and great gifts/memories. Would highly recommend! 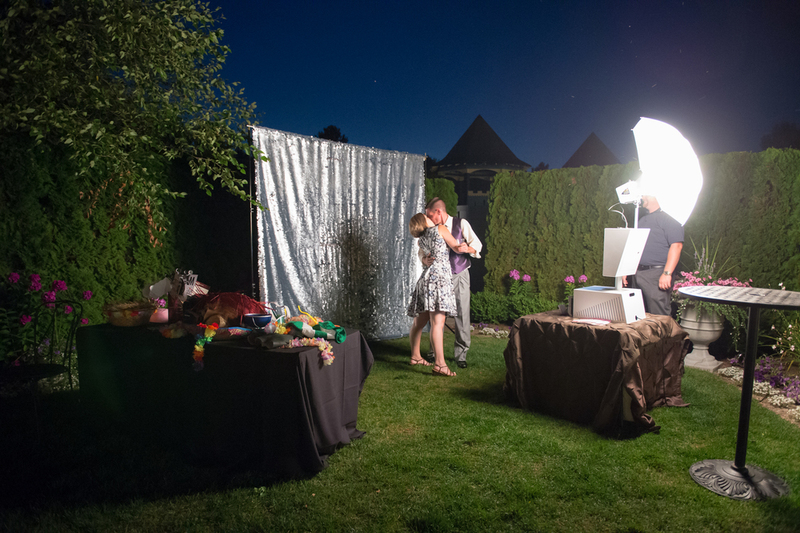 I was hesitant when booking the photo booth, thinking it might be one thing we could do without! I want to say we are so glad we went for it. Our guests had so much fun and I was so happy to see how much fun everyone had. The night goes by so fast. It was great to look back at the fun photos and we will be able to remember all the great people who shared in our special day. Great job Northern Art!